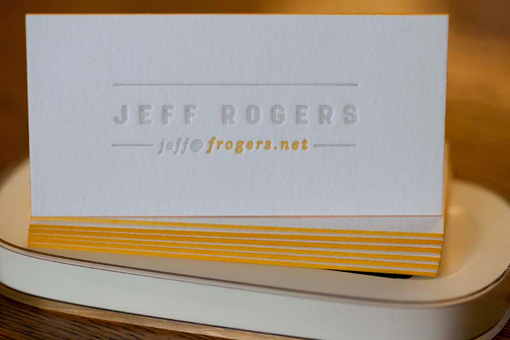 2 color letterpress printed business cards. really nice color choices. looks great with the edge painting.